High quality 3d models of kitchen tools. 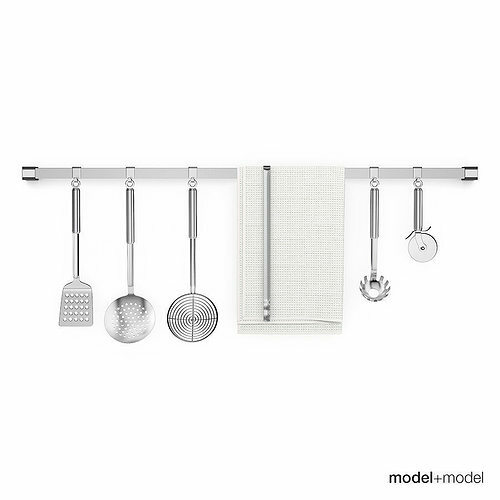 The set has 6 steel modern tools: turner, skimmer, wire skimmer, grill tongs, spaghetti spoon, pizza cutter and a towel on a rail. The model is created paying much attention to all the details. It has accurate wireframe, ready to use and perfect for any kitchen scene.